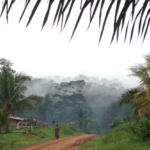 Cocoa is a food-industrial crop that can have an important role in poverty reduction for small producers in developing countries of Africa, Latin America, Asia and Oceania. The cocoa chocolate value chain moves every year millions of dollars that represent important dividends for producing countries and for national and international companies around the world. The International Model for Policy Analysis of Agricultural Commodities and Trade (IMPACT) is a structural simulation model which allows for future analysis of cocoa market globally. The model has been developed at International Food Policy Research Institute (IFPRI) to consider the long term challenges facing policymakers in reducing hunger, and poverty in a sustainable fashion. IMPACT is the main quantitative tool used by the Global Futures & Strategic Foresight (GFSF) initiative, in which Bioversity International is involved as a partner. 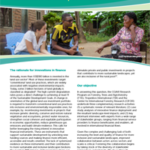 The aim of this report is to validate the performance and improve parameterization of IMPACT cocoa components. It focuses on ten largest cocoa producing countries in reviewing parameters related to yield growth rates. 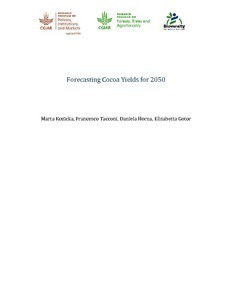 Based on historical cocoa yield time series forecasts are made using Autoregressive Integrated Moving Average (ARIMA). The forecast together with statistically estimated prediction intervals, supported by literature sources and expert knowledge are compared against respective yield trajectories embedded in IMPACT in order to make recommendations. Author(s): Kozicka, M.; Tacconi, F.; Horna, D.; Gotor, E.